I recently had to get new glasses. My vision had changed, so gradually it was not apparent to me until a new route, fog, and nightfall all combined to teach me this lesson. I got my vision checked and discovered that, indeed, my distance vision had just crossed over a major line, but my up close vision had hardly changed. When I picked up my new glasses today, I realized how much of the big picture I had been missing around me. We are like this spiritually as well. 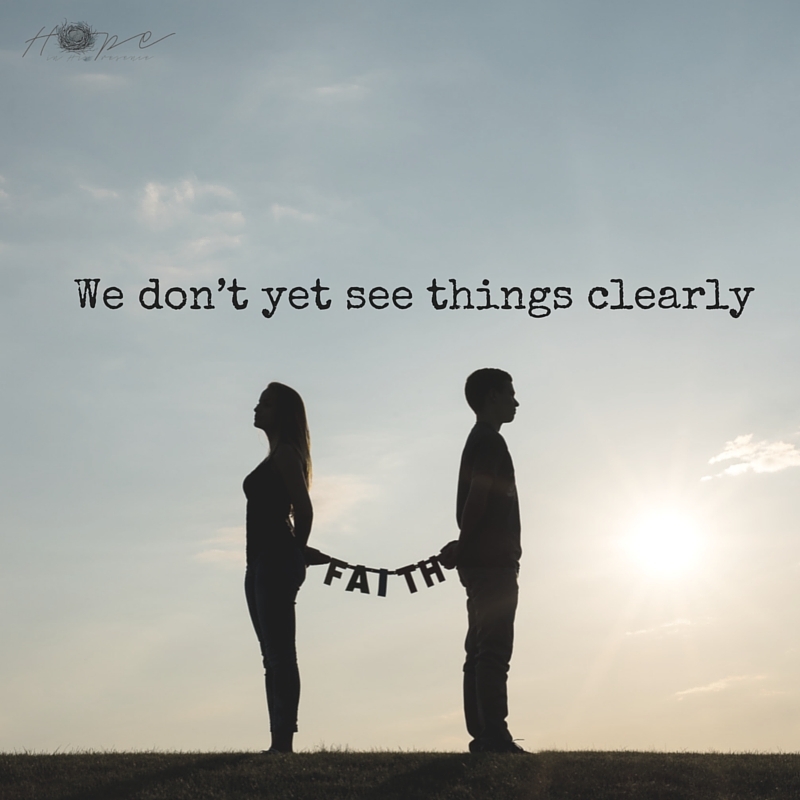 We don’t yet see things clearly. 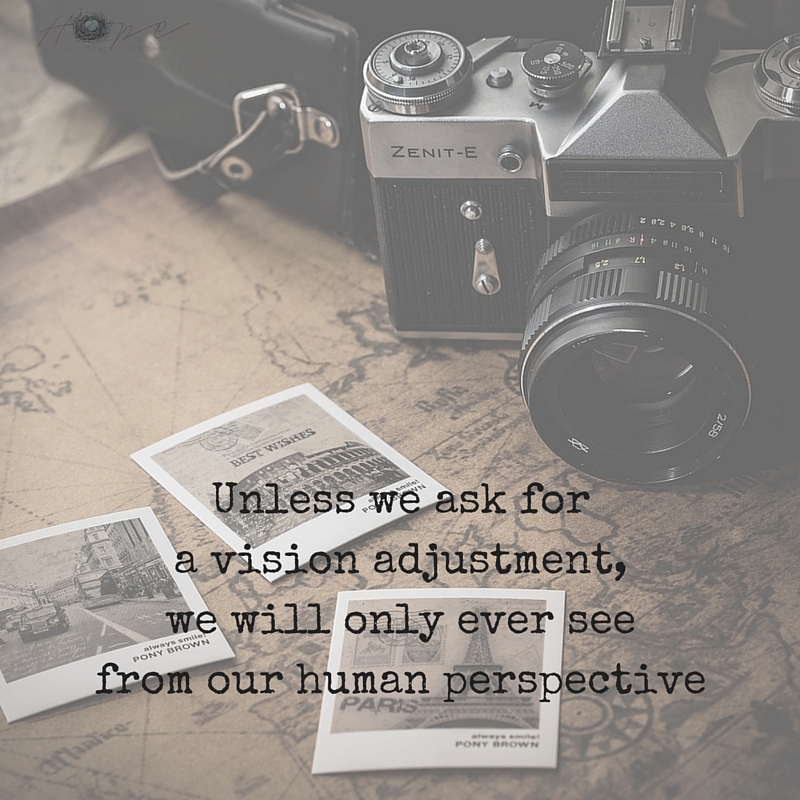 Unless we ask for a vision adjustment, we will only ever see from our human perspective: slightly off when we encounter something new, squinting with trepidation through the fog, desperately seeking clear vision and direction. God reminds us that He is the very light we need and our source of wisdom, which He gives us all through the insights of His Word and His Spirit’s promptings. 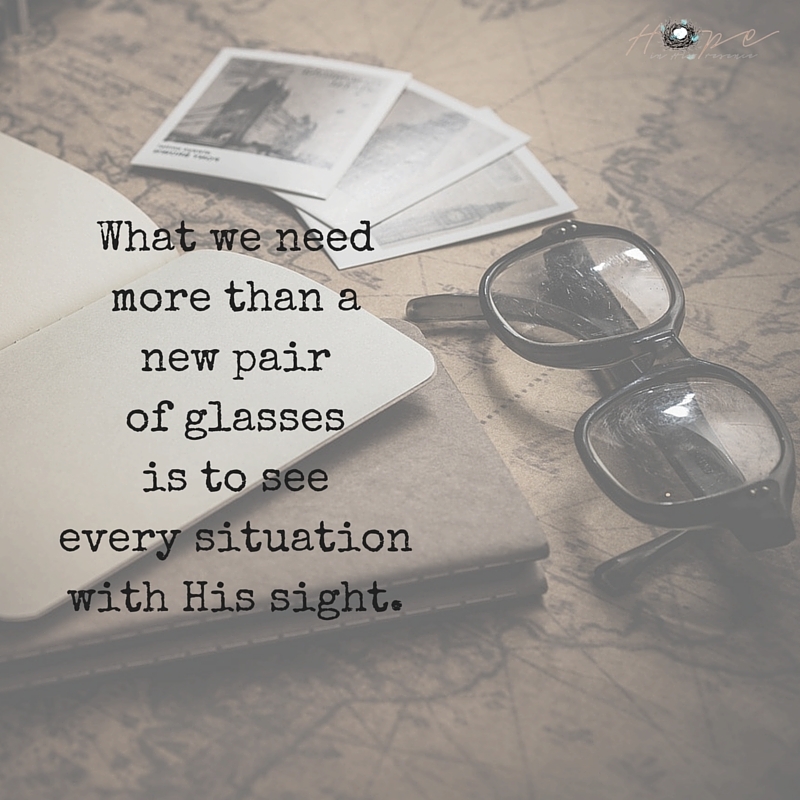 What we need more than a new pair of glasses is to see every situation with His sight. 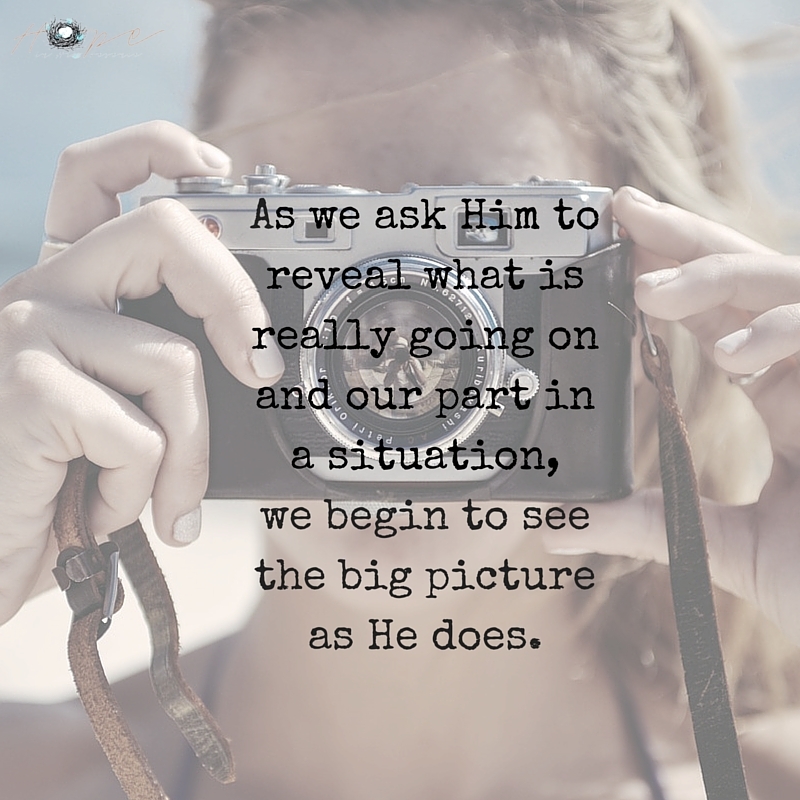 As we ask Him to reveal what is really going on and our part in a situation, we begin to see the big picture as He does. Sensing His heart for all involved, we are better able make the necessary adjustments to respond and act as He desires us to — with His vision, in His wisdom, and grounded in His love.